We chose the national critical technology category of manufacturing with a technical application of pollution avoidance, focusing on two-stroke engines in marine environments. Our product is a modified two-stroke engine that if utilized in personal watercraft should optimize combustion while reducing cross-scavenging flow. 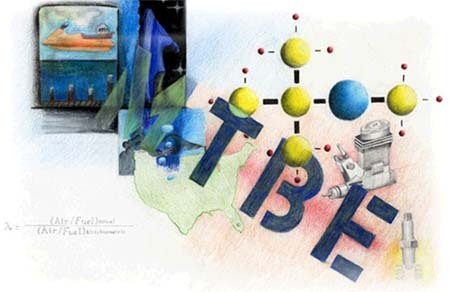 This project homepage #01-0224 was developed by Mainland High School in Daytona Beach, Florida in response to the 2001-2002 Internet Science and Technology Fair. Our technical advisor was Mr. Randy Haslam from Tanaka Power Equipment, Inc.